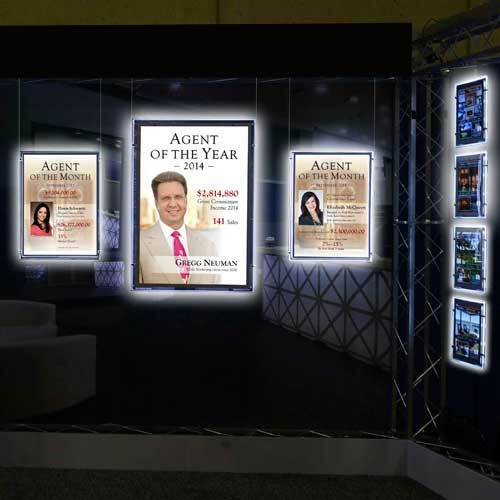 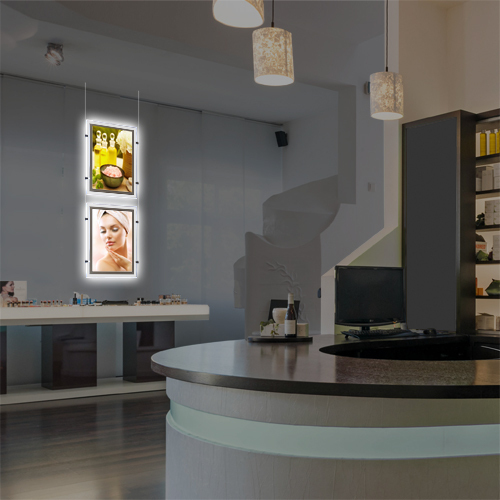 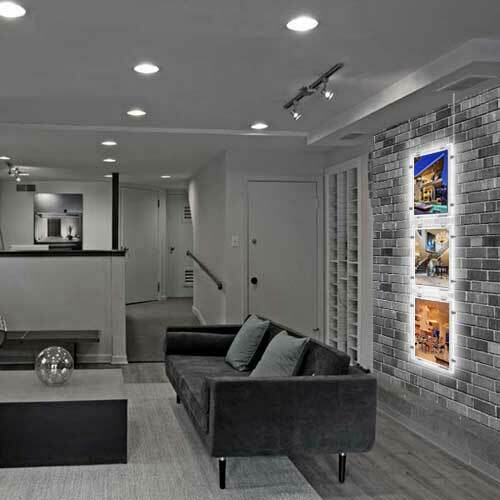 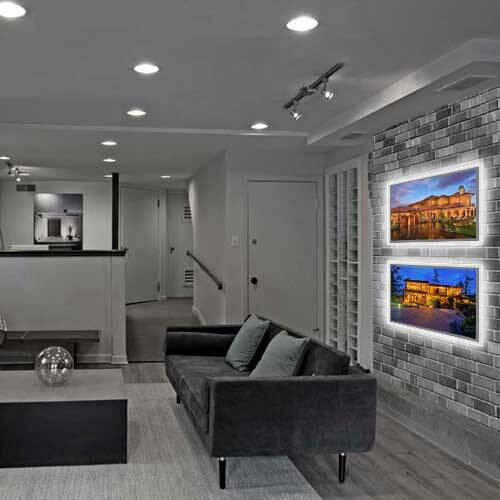 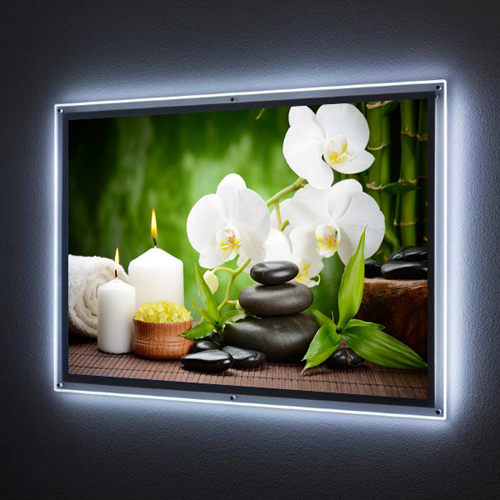 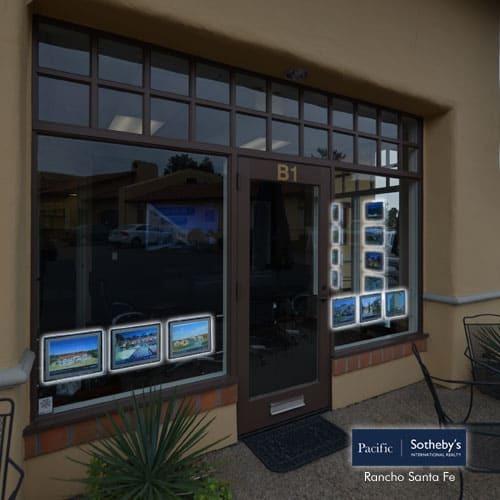 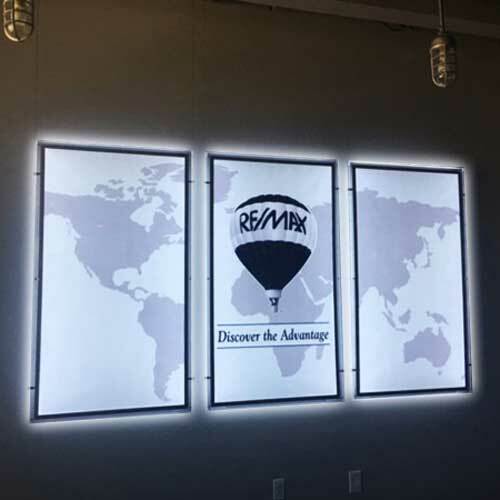 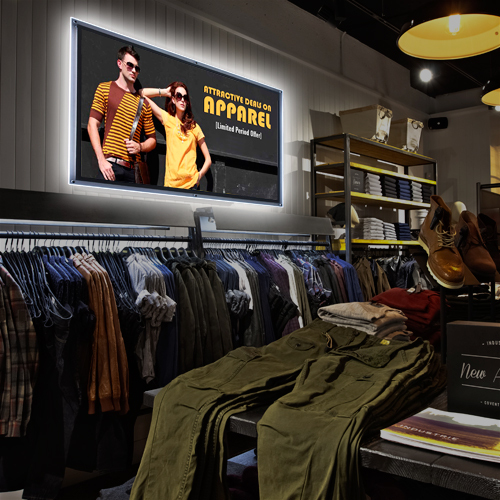 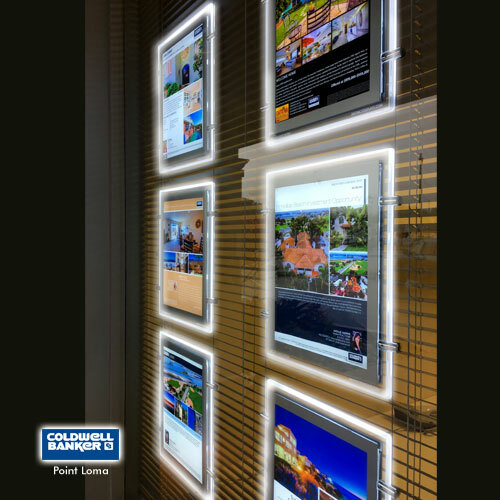 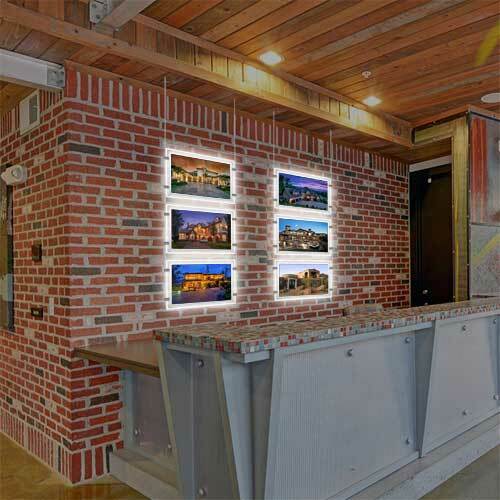 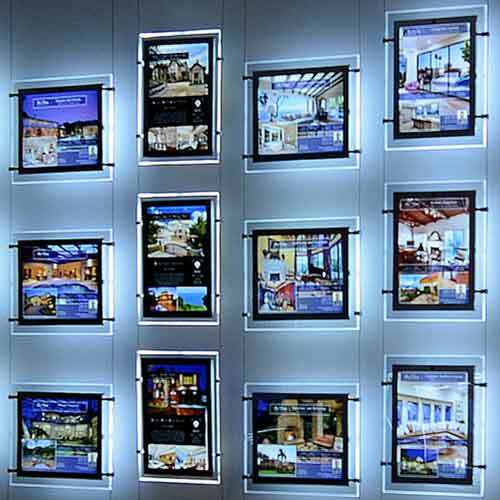 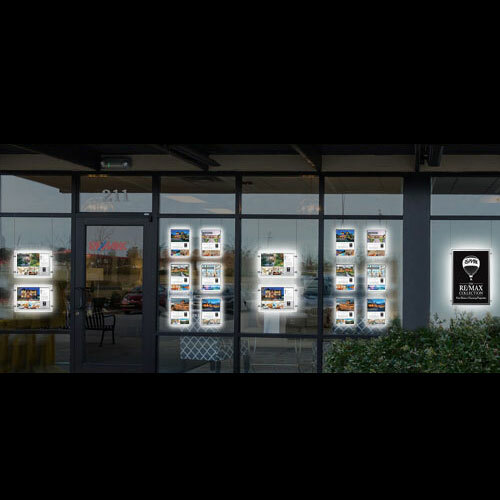 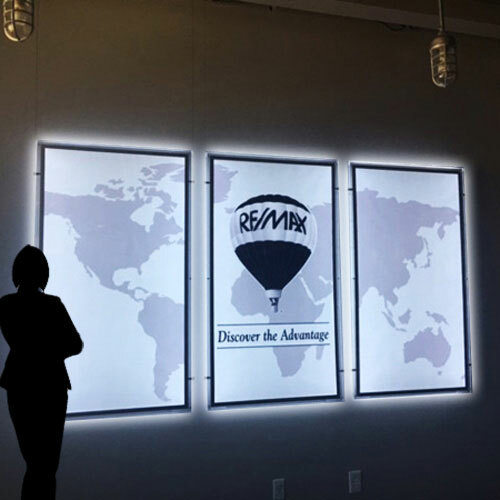 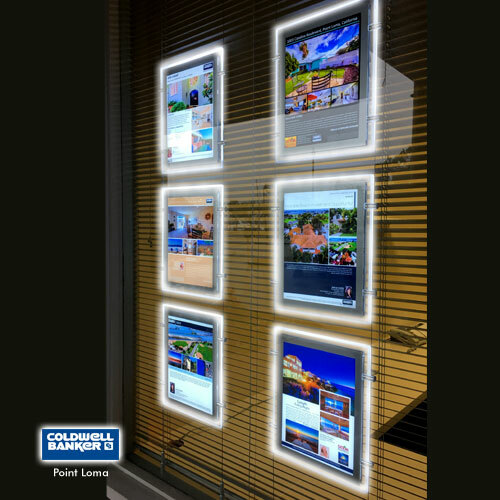 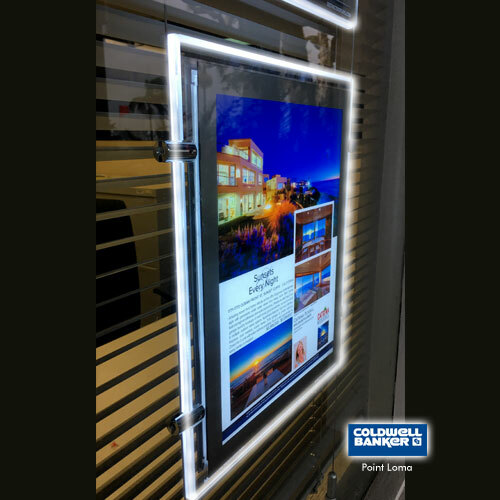 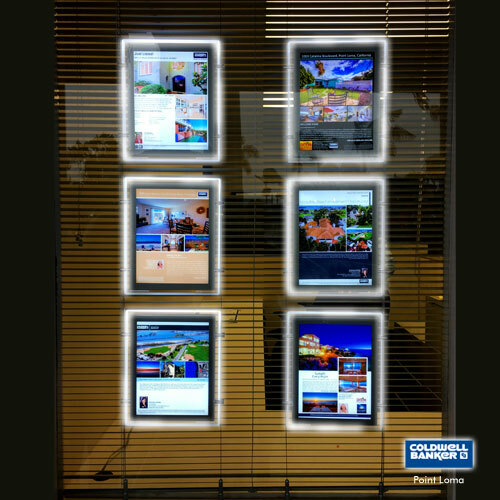 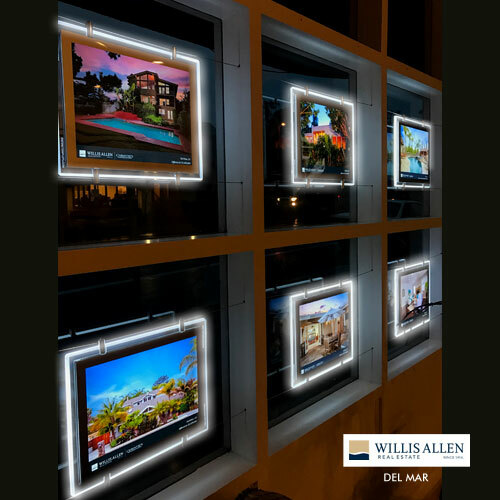 We love to hear how the displays light up all our clients entrances and reception areas! 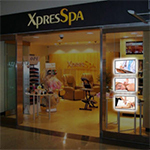 They are able to put product information, treatment specials, etc. 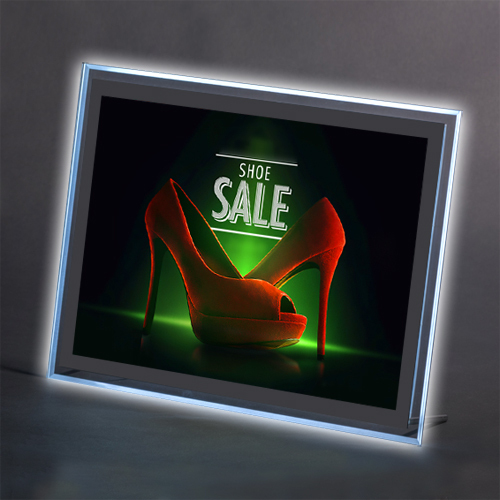 and they get so many compliments about them! 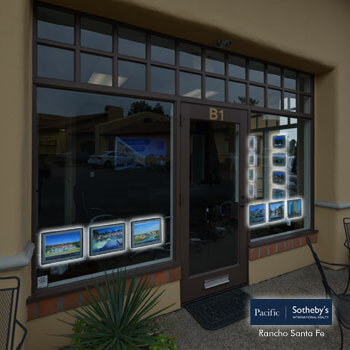 They told us so many people stop and look at them as they pass by – it has definitely brought them more business! 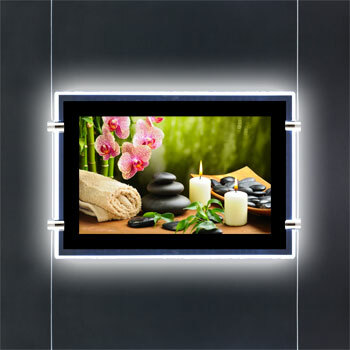 If you do not see what you like here, call or email us for a free consultation and custom design. 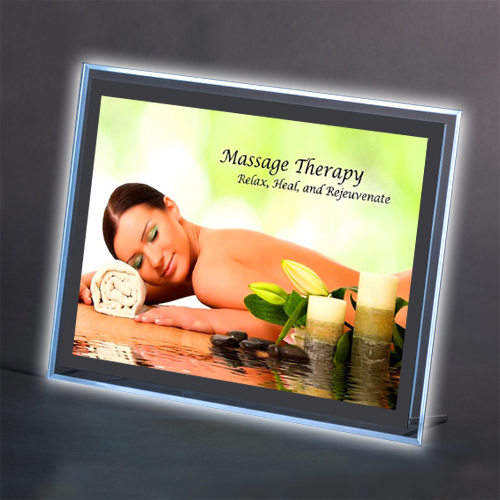 All products are UL approved. 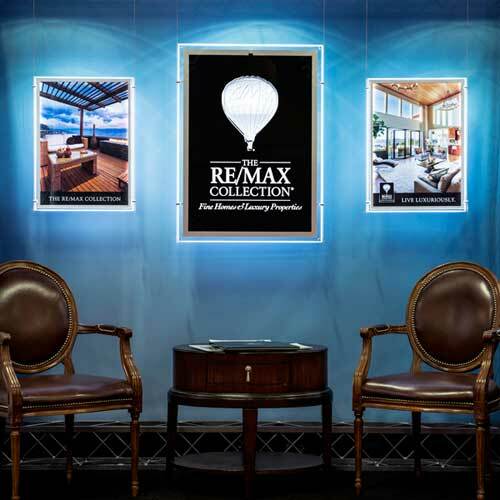 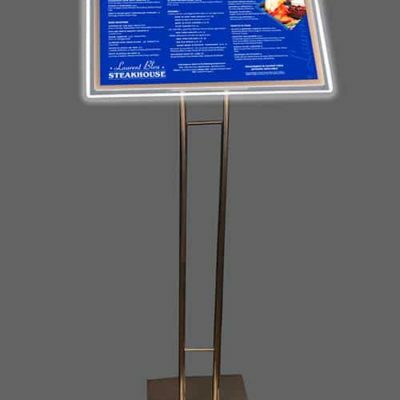 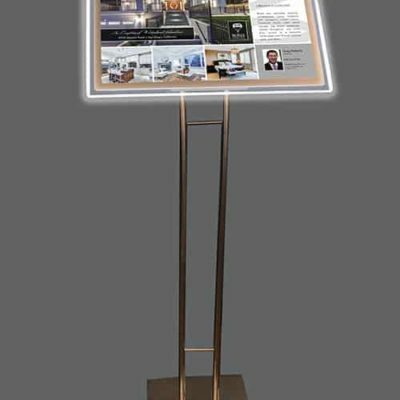 Mounted on a 44″ elegant curved silver base with a 3/8” clear glow edge, this free standing display is easy to move around and allows your customers to see your message while creating a warm, welcoming impression. 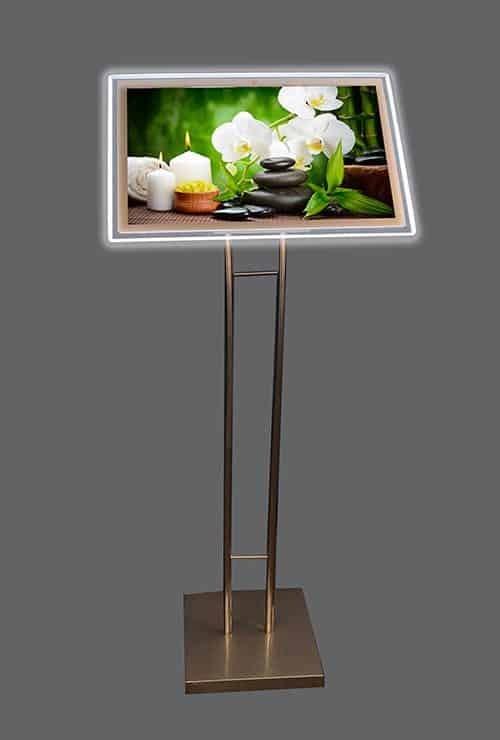 Carry around easily to represent your business and also use them to light up your reception area offering spa specials to your customers. 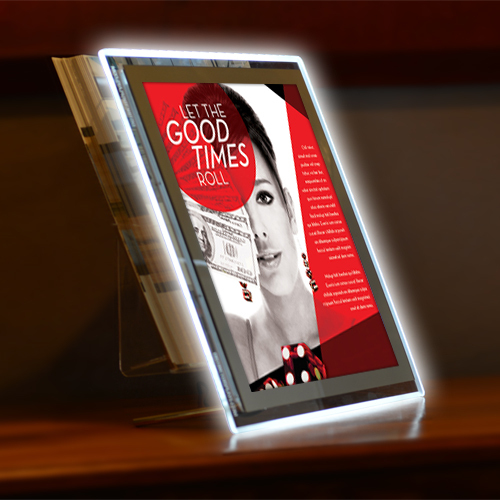 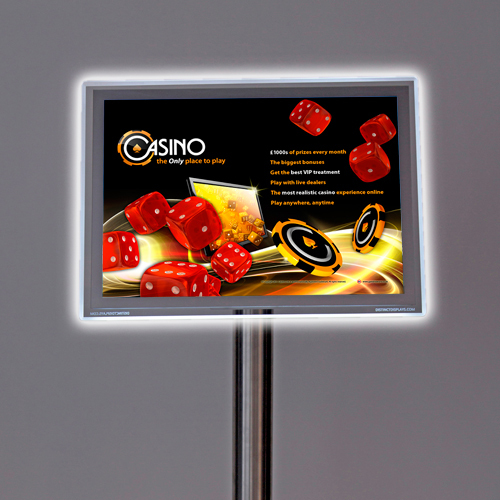 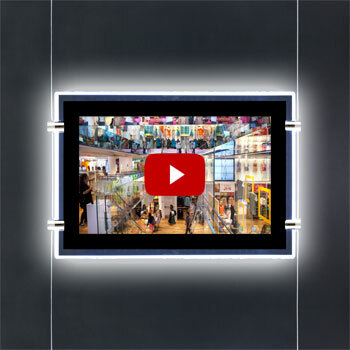 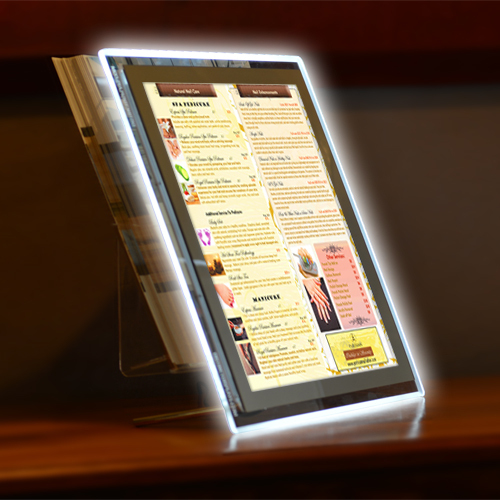 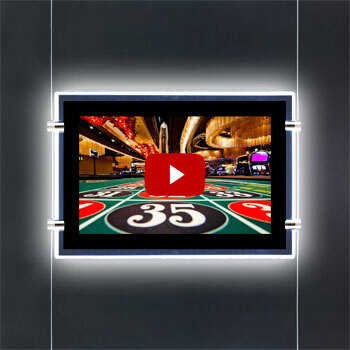 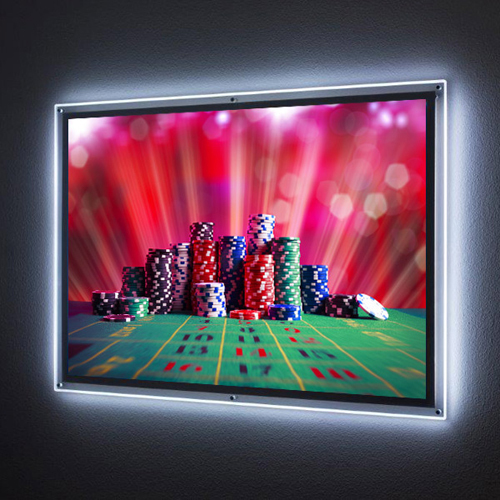 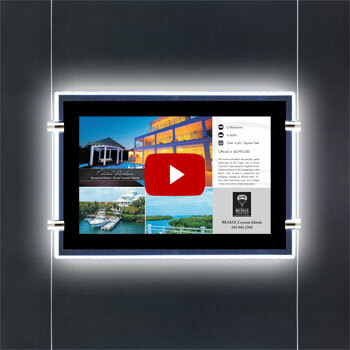 This 2-in-1 display offers the added value of a video player on the front side and also accommodates a stagnant backlit print on the back side. 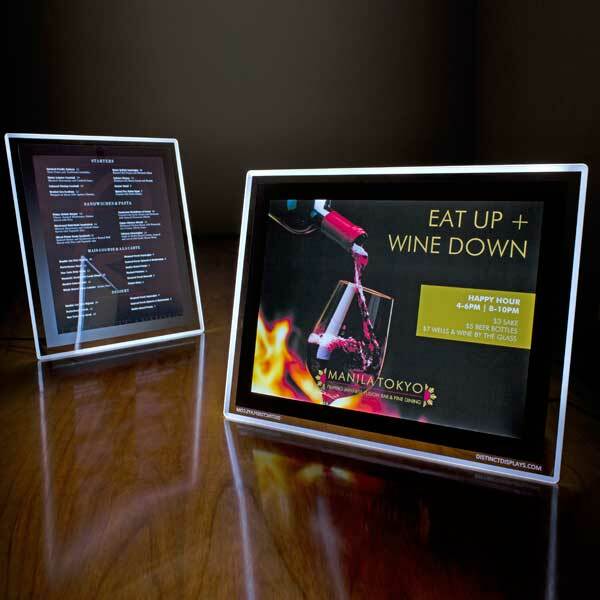 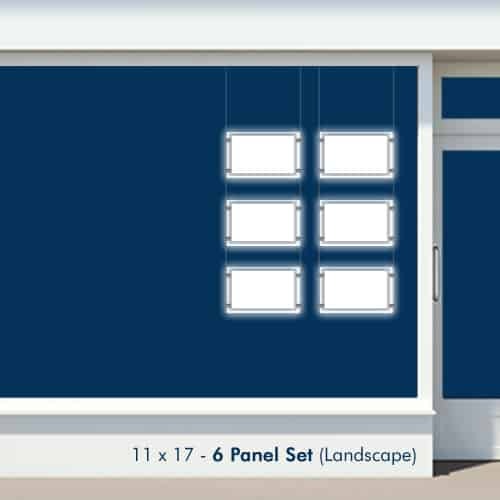 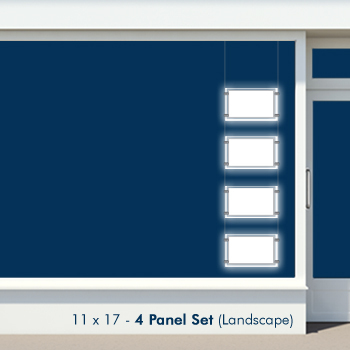 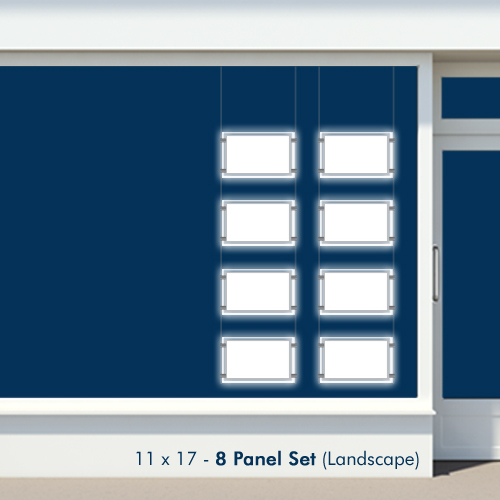 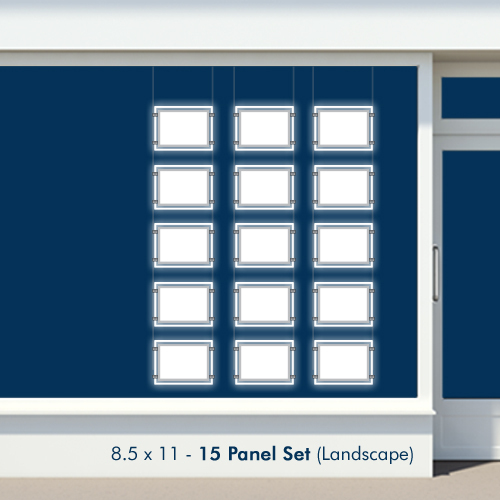 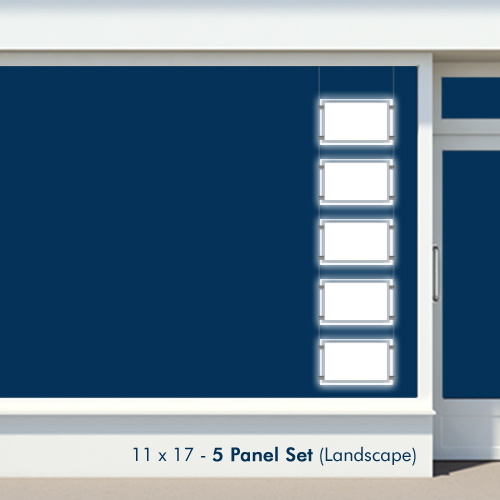 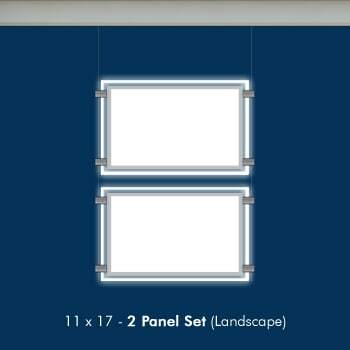 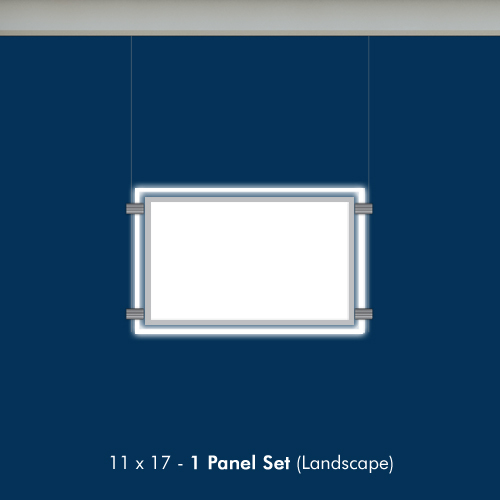 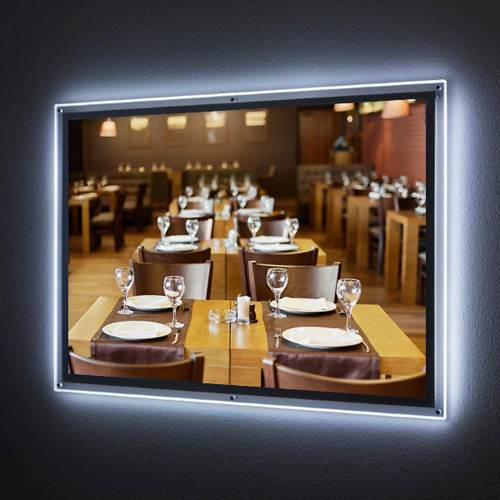 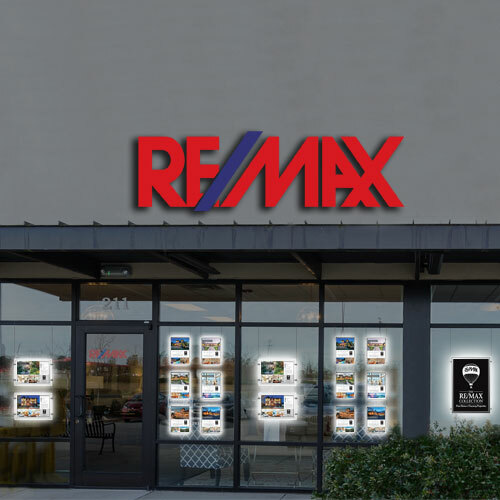 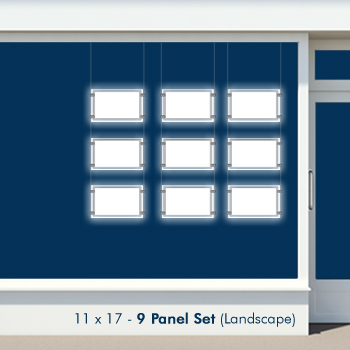 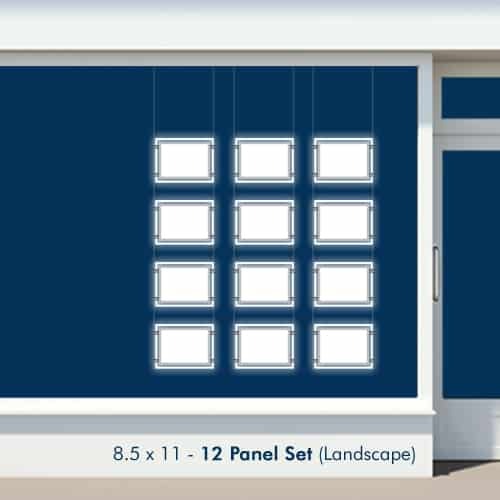 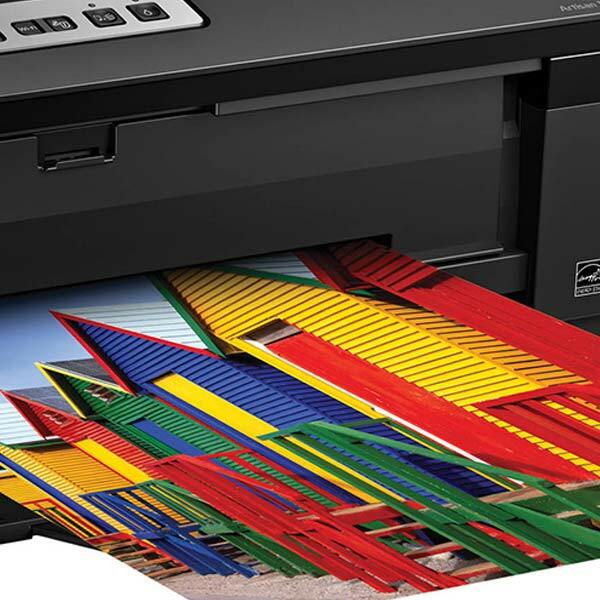 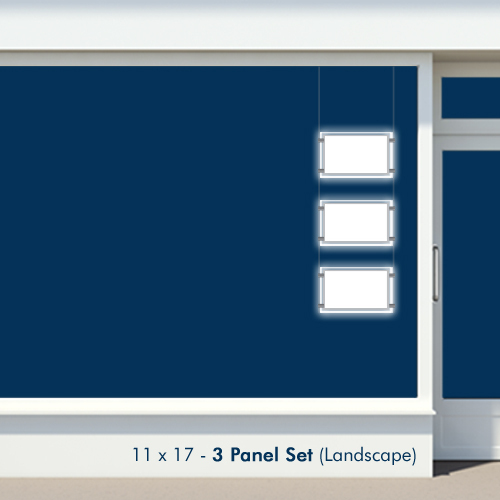 This would create a great opportunity to display all of your locations, specials & reviews!